Intelligent Design will bring the entertainment and convenience you love at home, onto the water. Let us introduce you to the latest in onboard technology. We are proud to be authorized dealers of all of your favorite marine technologies, including Kaleidescape, Eaton, KVH, Cisco, Crestron, Lutron, Future Automation Lifts, and more. Imagine having an almost infinite Music & Movie Library and access at the touch of a button to almost anything you want to see, or hear. Intelligent Design makes it easy for you to do just that. Communication should be easy. We provide stand alone intercom systems for communication at the touch of a button. We also offer complete entertainment systems, that include intercom capabilities right through the system’s touch panels. Marine applications often have limited space, or special design requirements. Intelligent Design offers unique solutions for any situation. 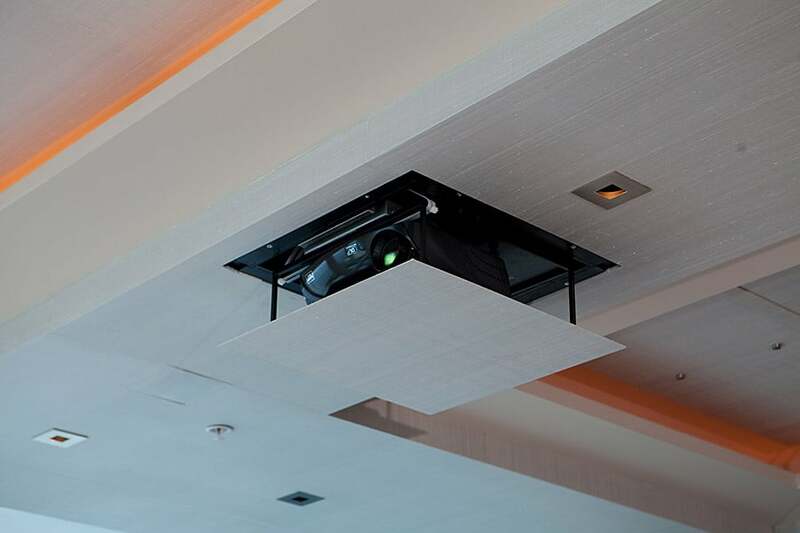 Stash away your TV, projector, or theater screen with a motorized lift. We can discreetly place TVs behind two-way mirrors, or behind a work of art, revealed only when you wish. Invisible speakers, hidden behind fabric, or even wallpaper, offer rich sound. Smartglass turns ordinary clear glass completely opaque at the touch of a button.